Why would I need self storage in North Highlands, CA? There are a variety of reasons why you might need self-storage in North Highlands, CA. How much is a storage unit in North Highlands, CA? The cheapest storage unit in North Highlands, CA is $49.00 per month. What size storage units do you have available in North Highlands, CA? In North Highlands, CA we have sizes that range from 5'x5' to 10'x30' to suit your storage needs. How much is it for a 5'x5' storage unit in North Highlands, CA? The cheapest 5'x5' storage unit in North Highlands, CA is $55.00 per month. North Highlands, California, is just a short drive away from the state's capital, Sacramento. As a suburb of Sacramento, it offers a quiet, family-friendly lifestyle with easy access to big-city amenities. It's home to a diverse population, including many young families, and is relatively small, at just under 9 square miles. North Highlands and the surrounding Sacramento area have a rich, interesting history. Native Americans first settled there thousands of years ago, and European settlers did not arrive until early in the 19th century. The city's population exploded in the mid-1800s, when gold was discovered about 50 miles away from Fort Sutter, setting off the famous California gold rush. In 1850, Sacramento was officially incorporated as a city, earning it the honor of being the first incorporated city in the state. North Highlands is a popular Northern California suburb for a variety of reasons. It is in close proximity to Sacramento, which, in the past, has been recognized as one of the most fun cities in the United States. There are many historical attractions to explore throughout the city, as well as a youthful vibe that comes from the nearby colleges, including California State University. You can make the drive to nearby San Francisco, which provides a huge variety of shopping, dining and entertainment. The unemployment rate in North Highlands is slightly above the national average, but you'll find plenty of job options in neighboring cities. 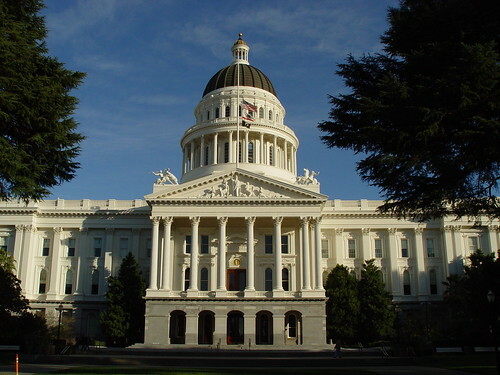 For example, Sacramento offers tens of thousands of jobs through its largest employers, which include the state of California, Sacramento County and UC Davis Health. The Twin Rivers Unified School District serves the public schools of North Highlands. You can find a few private schools in the area, run mainly by local churches. If you're planning to pursue higher education in North Highlands, there's a variety of campus options in nearby Sacramento. Sacramento State and the University of California, Davis, are two large public campuses in the surrounding area. Utilities: The Sacramento Utility District manages all major utilities in North Highlands and the surrounding area. Garbage and Recycling: Trash and recyclables are collected curbside throughout most residential areas in North Highlands. Transportation: As part of the larger Sacramento area, North Highlands enjoys the benefit of a network of public bus routes in and around the city. North Highlands is fairly affordable by California standards, providing plenty of budget-friendly options to fit your needs. You can enjoy the convenience of Sacramento's many amenities while saving a considerable amount of money on housing costs by choosing to live in North Highlands. Our lowest priced units in North Highlands, CA average $59.57 per month. 447 people have reserved units in North Highlands, CA in the past 30 days. There are 7 locations within North Highlands, CA's city limits. There are 2 locations in North Highlands, CA that offer AC and Heating features.